Some scientists turn to nature for inspiration, whereas others use movies as their muse. We’ve already had a hoverboard invented thanks to “Back To The Future,” and now we have a Terminator 2-style 3D printer that materializes impressive objects seemingly impossibly out of a pool of liquid. The novel printing technique, featured in Science, is the brainchild of California-based startup Carbon3D, headed by chemist Joseph DeSimone, and was showcased recently at the TED (Technology, Entertainment and Design) conference in Vancouver. 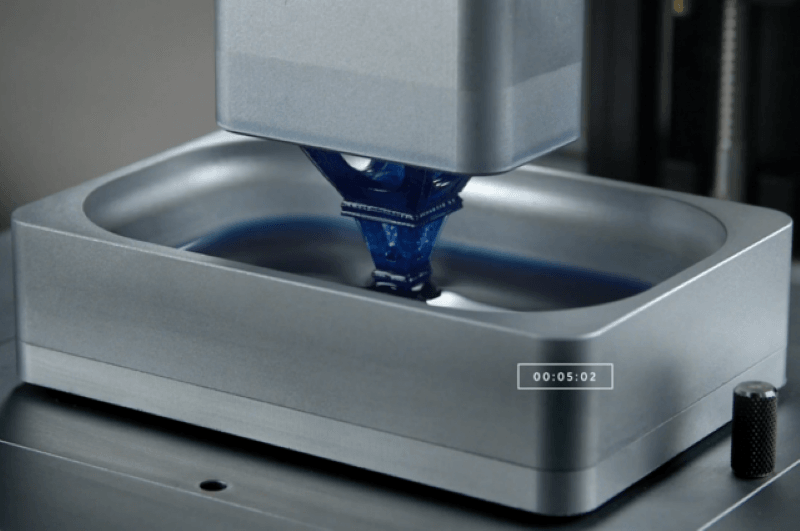 According to the company, this “game-changing” technology can churn out products up to 100 times faster than conventional 3D printing, or additive manufacturing, processes, which produce objects by building up successive layers of material. During the presentation, Carbon3D’s printer created a plastic ball in just ten minutes. Traditional printers, DeSimone announced, would take up to 10 hours to do the same. But it is not just speeds that the company is boasting about; they claim that their revolutionary technique can also craft geometries that were previously unattainable. If these bold claims prove to be more than just that, this process could open up doors in a variety of industries, such as aviation and medicine. The technique, called CLIP (Continuous Liquid Interface Production), exploits photochemistry rather than the layering approach that we are all familiar with. Designs are born out of a bath of liquid resin whereby the media is solidified into the object of desire using a combination of light and oxygen. As explained by BBC News, light is used to harden the resin, whereas oxygen prevents this process, so precisely flicking between the two allows the production of complex objects. What’s more, it is so fine that designs can have microscopic features as small as one-quarter the thickness of a piece of paper, or around 20 microns. “By rethinking the whole approach to 3D printing, and the chemistry and physics behind the process,” explains DeSimone, “we have developed a new technology that can create parts radically faster than traditional techniques by essentially ‘growing’ them in a pool of liquid.” He says that their technique will allow the production of stronger objects with unique geometries, such as personalized stents for the treatment of weakened arteries. Although CLIP is currently only able to fashion products out of polymer-based materials, the company claims it should be compatible with a wide range of materials, so they are currently endeavoring to find out which ones are suitable. According to the company’s chief marketing officer Rob Schoeben, Carbon3D hopes that the printer will become commercially available by the end of the year.